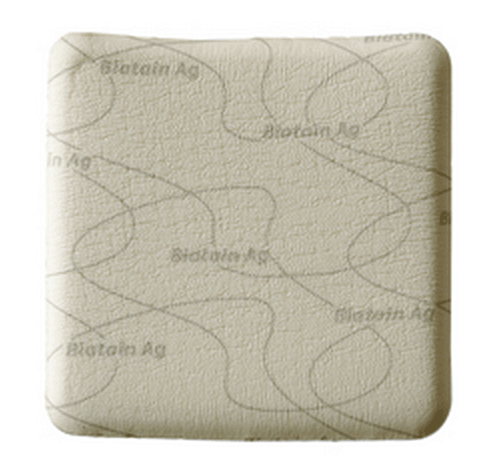 Biatain Ag Foam Dressing Silver has a patented silver additive to combat infection. 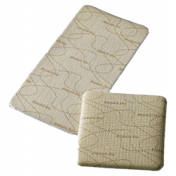 Biatain Ag Foam Dressings are absorbent Foam Dressings Pads manufactured by Coloplast. 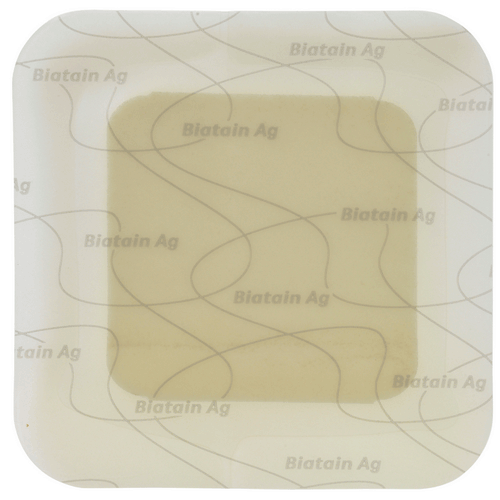 Biatain Ag Silver Dressings are Wound Dressings with a film backing that is waterproof and provides a barrier to bacteria. 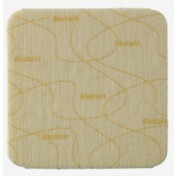 The Biatain Ag Foam Dressing is easy to apply and easy to remove. These wound dressings employ slow-release silver ion anti-microbial agent to fight against infection. 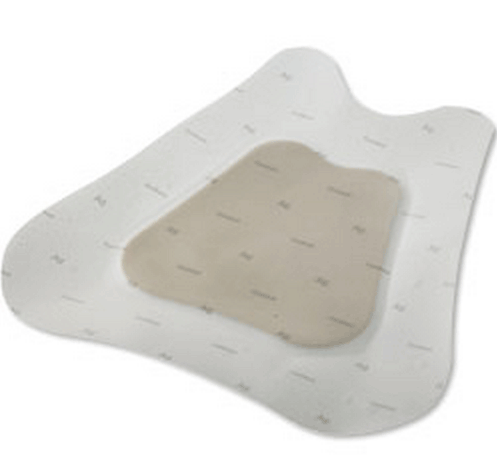 The sterile dressings employ highly a highly absorbent 3-D foam that wicks away exudate from the wound, aiding healing. 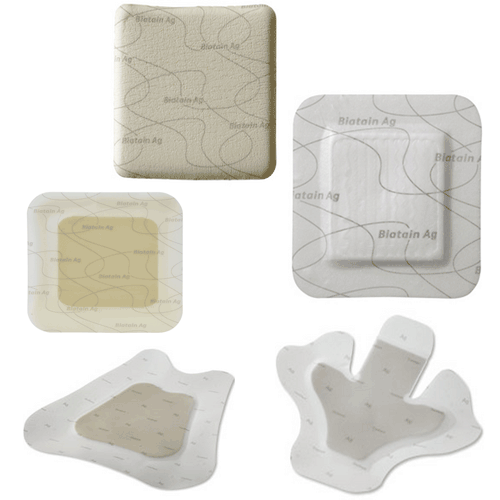 The Biatain Ag Silver Foam Dressings conform to wound bed to retain the moisture that promotes faster healing. Controlled silver release for up to seven days. Constructed with a soft, skin friendly layer for skin sensitive patients. Greatly minimizes risk of infection. Easy to remove or to reposition the dressing. 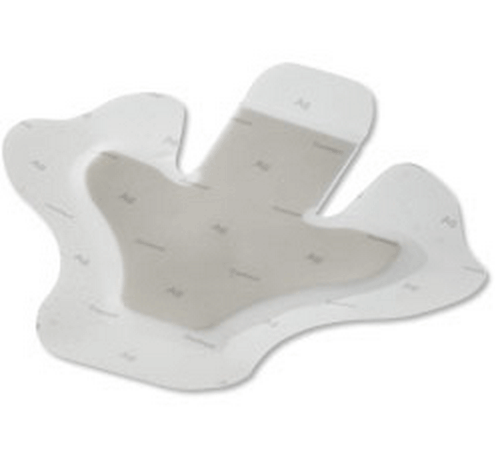 Less pain to patient when removing or replacing dressings. 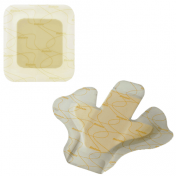 Provides an optimal moist wound healing environment and effective exudate management. Size Options: 7.5 x 7.75 Inch, 3 x 3 Inch, 4 x 4 Inch, 5 x 5 Inch, 6 x 6 Inch, 7 x 7 Inch and 9 x 9 Inch. Dressing Shape Options: Square, Sacral, or Heel. Construction: Semi-permeable film backing with polyurethane foam. 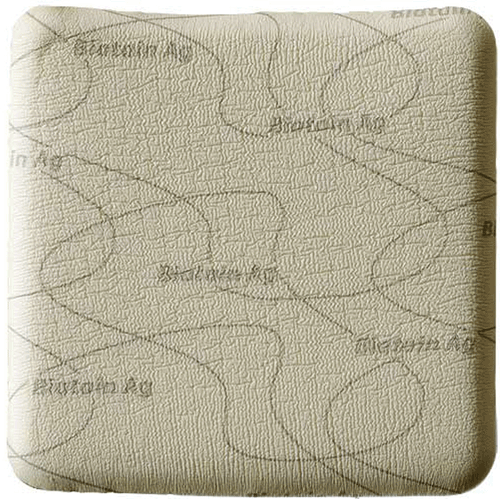 Biatain Ag Dressing Product Numbers: 9622, 9625, 9632, 9635, 9636, 9641, 9643. This silver dressing is very useful at at clinic to manage infected wounds.